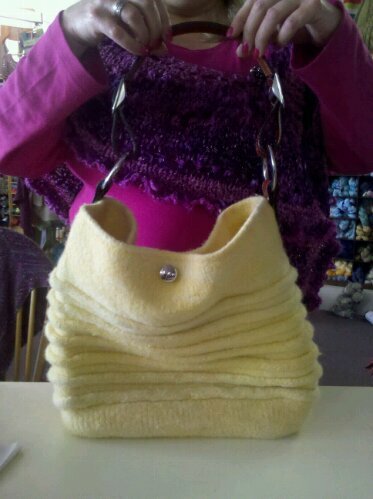 Susannie is teaching this FABULOUS BAG from NONI. Dates are: May 5,12 and 26 from 10-12 or 6-8pm. Fee is $25 plus materials. 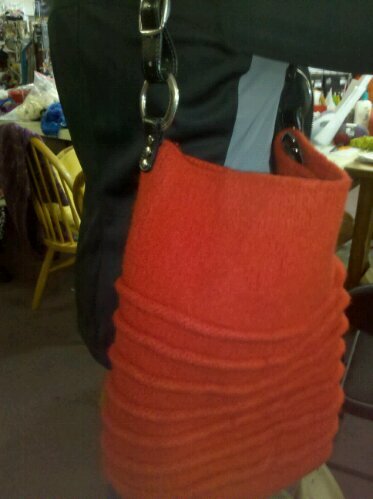 The red bag (Gail’s) is out of cascade 220, the yellow (Susannie ) is malabrigo chunky. Call to sign up! 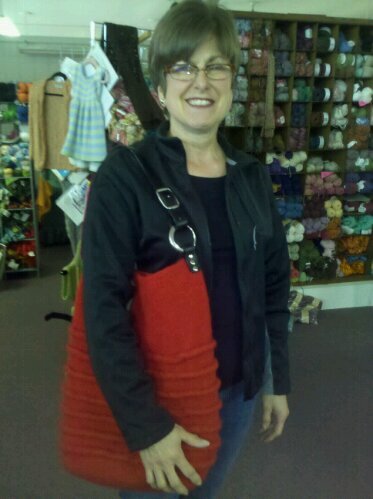 Check out the NONI site for other new patterns. We have them all including the new Betty Boop bag! 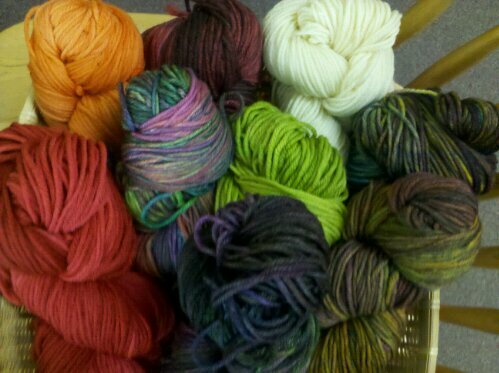 Some new yarns have come in to the shop! Lana Grossa has a new Summer book that is great and going fast! 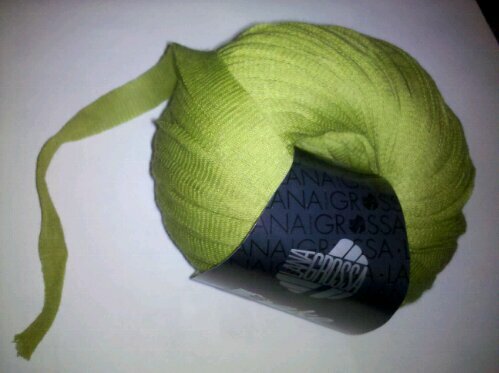 The new yarns are Snake, Coccinella and Festa (photos 1,2, and 3). 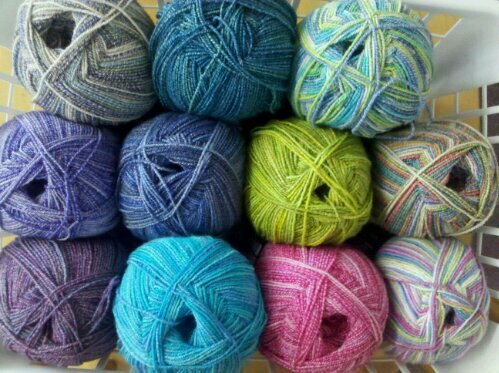 Snake is a wide knit tube that will show great definition, Coccinella comes in some wonderful colors and will knit at 5 sts to the inch. 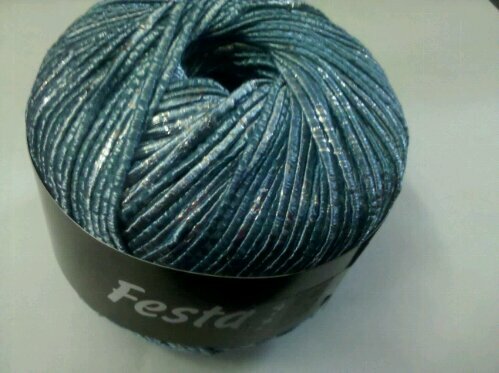 Festa has just enough BLING for a summer jacket or rap! Also. 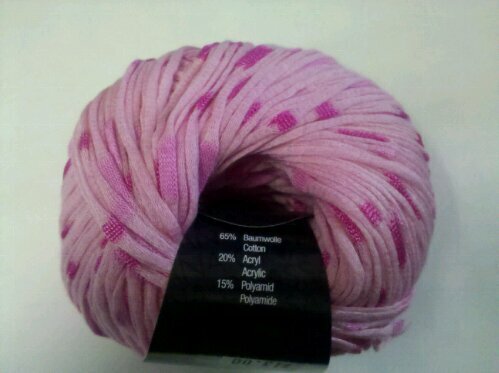 New are some wonderful sock yarns. 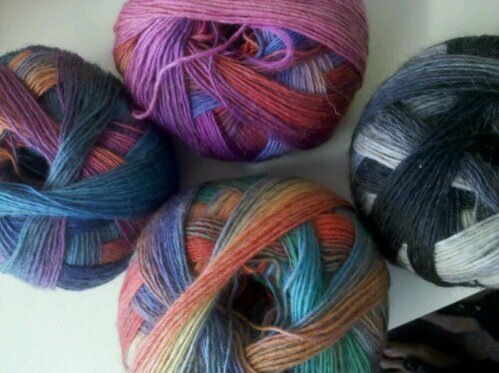 Magico has really long collor changes and reminds me of mochi or noro sock. Beg. 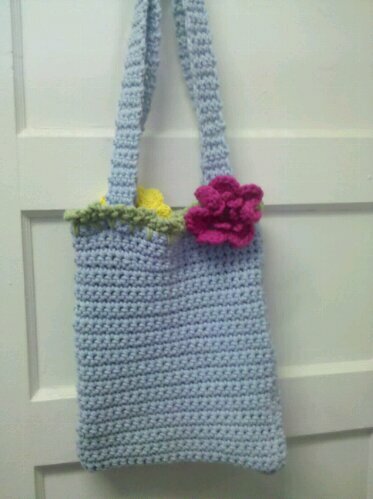 Crocht class- learn the basic sts and have a great bag when you are finished! Class dates are-April 25 and May 2. Times are 10-12 or 6-8 pm. Please let us know which time you want when you sign up for the class. Don’t forget IN STORE RETREAT is in 2 weeks (April 29-May 1). Have a great weekend. We’re going to the Roller Derby!!! Information on the Bus Trip to Stitches will be posted on Monday!! Once again a reminder to get your for the in-store retreat on April 29, 30 and May 1! We have to call in dinner amounts if you want to partake ! The food is wonderful and a great deal at $7.50 a night. Friday will be Salad with a chicken strip option and a pasta meal for Sat! Call the shop to sign up for classes and the retreat.